Rosemary's Sampler: Fresh Fruit Anyone? An informative sampling focused on herbs and tea with an occasional sprinkling of fairy dust and a glimpse into family activities too. The contributions to this blog is the combined effort created by the sisters of The Rosemary House and Sweet Remembrances. A beautiful plate of fresh fruit is delightful to serve and enjoyed by many. We like to serve the fruit with marshmallow cream. One of Angelica's favorites, this is an easy recipe, and a sweet addition to the fruit. Combine cream cheese, marshmallow, and fresh orange zest until blended. Store in refrigerator until ready to serve. Serve with assorted washed and cut fruits. Note: to enhance the natural sweetness of the fruit, it is best to serve the fruit at room temperature. This marshmallow cream would also make a great accompaniment to our Traditional English Cream Scones. Angelica is a lucky girl and oh my, traditional English cream scones! To die for! Maybe I should come for a visit while The Herbal Husband is gone! Wish I could! He would be upset if he knew I was even thinking it! Better not! My Mom used to make that marshmellow cream and serve it w/ fruit too, saying we were having a healthy snack. LOL!! But boy was it addicting!!! I could go for some of that beautiful fruit this morning! Yummmmm! Love fruit and anything. The marshmellow cream would be good. Your fruit always looks so delicious! Our strawberries here at the grocers are hard as rocks! Can't wait for my own from my garden!! I love that fruit dip though, isn't it the best; my mom used to make that for us. That fruit looks so good. We ate breakfast out earlier in the week and I had a piece of cantalope that was so hard! So I can't wait until summer for all the fresh stuff from the area. thank you for sharing this fabulous recipe and photo! That looks so good. I'd like to try the marshmallow cream. Thanks for the recipe. 118-120 South Market Street in charming downtown Mechanicsburg, PA. It's all about herbs and tea! Join us as we share our passions. Afternoon Teas, Craft Classes, Herbal Studies, Holiday Events and more are listed on our Special Events Calendar. Click here to see the listing of our activities for this year. Follow The Rosemary House on Instagram. Follow Sweet Remembrances on Instagram. 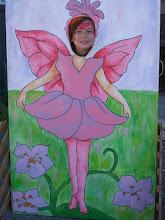 Join us in the fall for fairy fun on September 7th and 8th, 2019. Click on the photo for information. Rosemary, the herb of remembrance, symbolizes each of us. Susanna owns and operates The Rosemary House, a gift shop specializing in herbs and spices. Nancy owns Sweet Remembrances, a tea room located right next door, and features herbs in her cooking. We work closely together in our business, and will each answer to Rosemary. Click on the photo to email Susanna. Click on the photo to email Nancy. Visit The Rosemary House's profile on Pinterest. Try some today ~ you'll love it! Roastmary - Our Best Selling Herb Product! Roastmary is our best selling product in the shop. This perfectly proportioned blend of salt, pepper, rosemary and garlic is so well received it will become a family tradition in your household for pork roast, grilled chicken, venison, roasted potatoes, and even garlic bread. Mixed frequently in small batches, it's always a fresh blend for your kitchen. We have been making this blend for almost 40 years. Over the years, it has been mail ordered to all 50 states and 12 countries. Many of our customers can't live without Roastmary! Try some today! Send a self addressed, stamped envelope to The Rosemary House, 120 S. Market St., Mechanicsburg, PA 17055 and request a free sample. We'll be happy to send you the sample with an informational brochure that includes recipe suggestions. 1. Mix Roastmary with yogurt and eat 'as is', or use as a dip or baste chicken with it. 2. Add Roastmary to butter and brown your rice before adding water to cook the rice. 3. Mix Roastmary in with hamburger. Pan fry with Worcestershire sauce. 4. Garlic bread can be made your favorite way be mixing Roastmary with butter. 5. Use Roastmary on baked potato, with or without butter. All photos and text are personal property of Nancy and Susanna Reppert. All rights reserved. Content of this site may not be reproduced, in any manner without written permission.